With Martin Luther King Day Jr. just around the corner, it’s important to not just take the day off but also to take the time to remember the reason we celebrate this inspirational man. 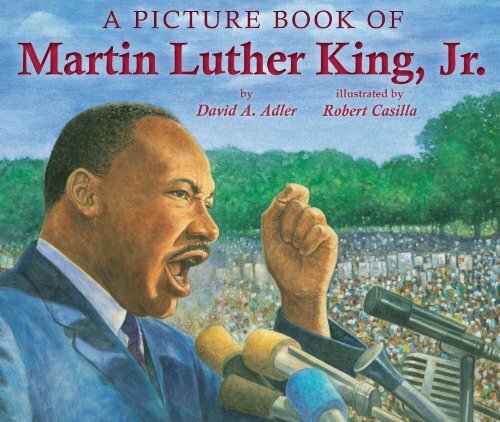 These Martin Luther King Jr Books for Kids are a terrific introduction to the man who helped shape American culture and politics. When holidays come around, it’s often easy just to take the day off and relax. In our region, a lot of people go skiing or sledding or take advantage of the three-day weekend. But it’s important to remember the whole reason for the holiday — Martin Luther King Jr. His words still ring true today and are an important introduction to why fighting for equality on all levels should be part of our daily fabric. 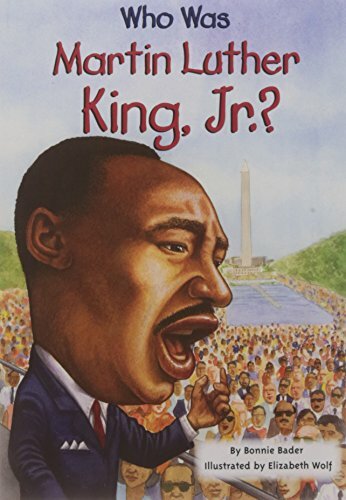 Martin’s Big Words: The Life of Dr. Martin Luther King, Jr.: This picture-book biography is an excellent and accessible introduction for young readers to learn about one of the world’s most influential leaders, Dr. Martin Luther King, Jr. Doreen Rappaport weaves the immortal words of Dr. King into a captivating narrative to tell the story of his life. With stunning art by acclaimed illustrator Bryan Collier, Martin’s Big Words is an unforgettable portrait of a man whose dream changed America-and the world-forever. I am Martin Luther King, Jr. (Ordinary People Change the World): Even as a child, Martin Luther King, Jr. was shocked by the terrible and unfair way African-American people were treated. When he grew up, he decided to do something about it—peacefully, with powerful words. He helped gather people together for nonviolent protests and marches, and he always spoke up about loving other human beings and doing what’s right. He spoke about the dream of a kinder future, and bravely led the way toward racial equality in America. 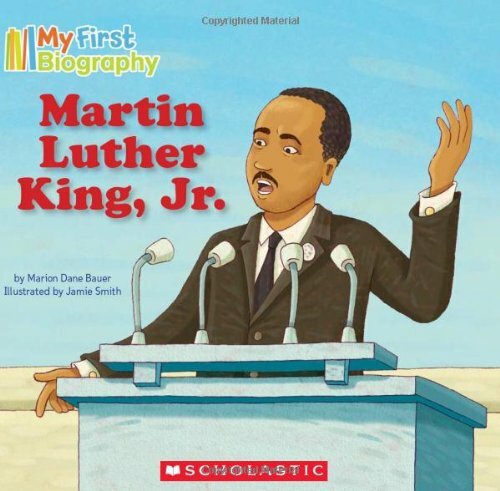 My First Biography: Martin Luther King, Jr.: Dr. Martin Luther King Jr. was a great man. His words changed the way people thought, and his actions spurred them on to change the world. 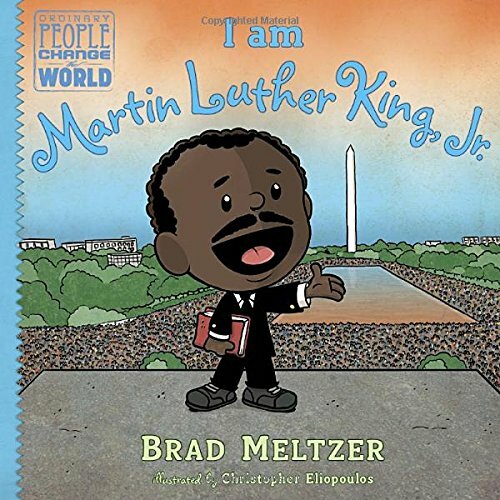 With simple, lyrical text and bold, kid-friendly illustrations, this book introduces Dr. King to the youngest readers and inspires them to change the world. 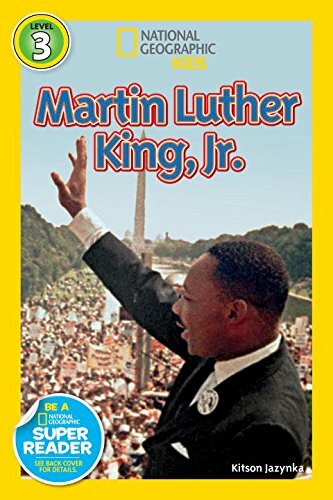 National Geographic Readers: Martin Luther King, Jr. (Readers Bios): In this level two biography, difficult concepts are made understandable and transitioned into a more approachable manner. This includes the use of sidebars, timetables, diagrams and fun facts to hold the interest of the young reader. The colorful design and educational illustrations round out this text as an exemplary book for their young minds to explore. 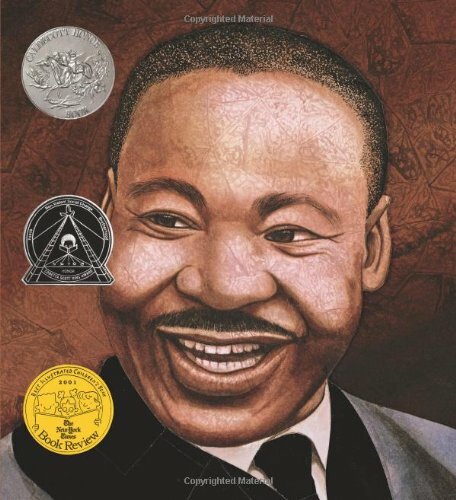 A Picture Book of Martin Luther King, Jr.: A brief, illustrated, biography of the Baptist minister and civil rights leader whose philosophy and practice of nonviolent civil disobedience helped American blacks win many battles for equal rights. Who Was Martin Luther King, Jr.? : Dr. Martin Luther King, Jr. was only 25 when he helped organize the Montgomery Bus Boycott and was soon organizing black people across the country in support of the right to vote, desegregation, and other basic civil rights. Maintaining nonviolent and peaceful tactics even when his life was threatened, King was also an advocate for the poor and spoke out against racial and economic injustice until his death -from an assassin’s bullet- in 1968. With clearly written text that explains this tumultuous time in history and 80 black-and-white illustrations, this Who Was?? celebrates the vision and the legacy of a remarkable man. 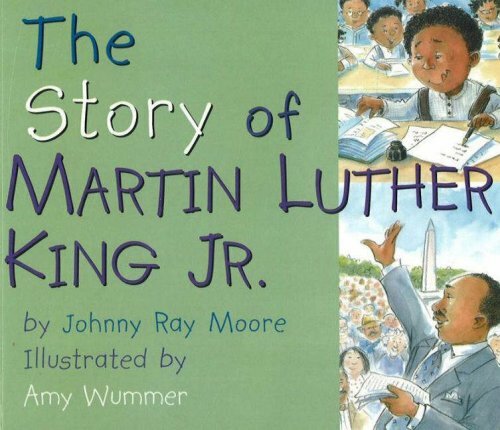 The Story of Martin Luther King Jr.: This little boardbook uses only approximately 200 words to tell about the life of Martin Luther King, Jr. and to explain, in simple terms, how he ended segregation in America. 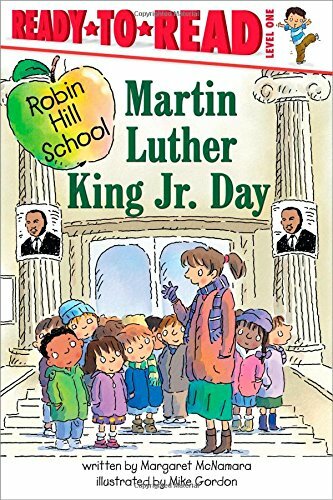 Martin Luther King Jr. Day (Robin Hill School): When Mrs. Conner’s class learns about a great man, they discover their own dreams and hopes for a better world! My Brother Martin: A Sister Remembers Growing Up with the Rev. Dr. Martin Luther King Jr.: Long before he became a world-famous dreamer, Martin Luther King Jr. was a little boy who played jokes and practiced the piano and made friends without considering race. But growing up in the segregated south of the 1930s taught young Martin a bitter lesson — little white children and little black children were not to play with one another. Martin decided then and there that something had to be done. And so he began the journey that would change the course of American history. 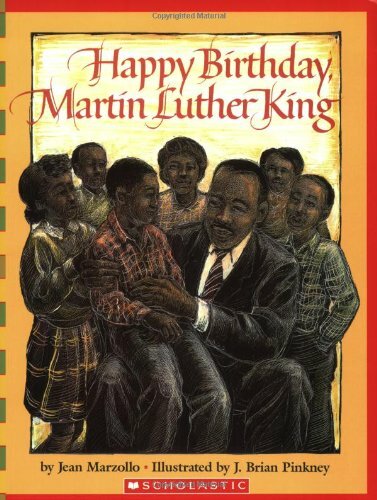 Happy Birthday, Martin Luther King Jr. (Scholastic Bookshelf): This book is beautifully-rendered study of Martin Luther King Jr.’s life, told in simple, straightforward language for even the youngest of readers to understand. Pinkney’s scratchboard and oil pastel illustrations convey both the strength and gentleness of King’s character. Both text and art carry his central message of peace and brotherhood among all people. 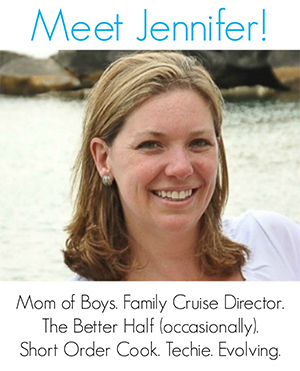 Read about even more inspiring African Americans with your kids! 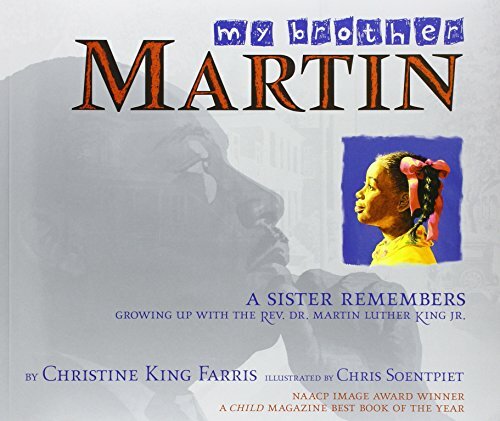 My children love these Non-Fiction Children Books about African Americans. 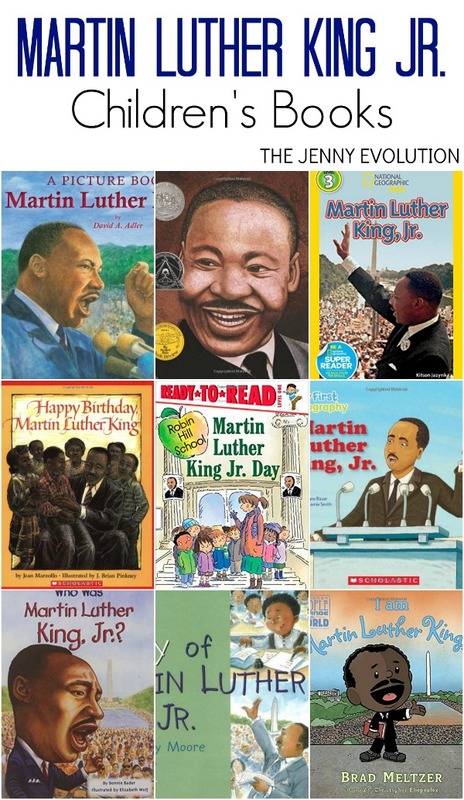 Like these Martin Luther King Jr. books? Find even more engaging book lists for kids with more than 100 book-themed reading lists! Filed Under: Black History Month, Book Nook Tagged With: martin luther king jr.